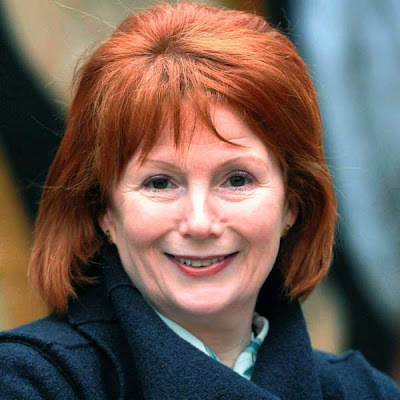 The Islam Awareness Blog: Hazel Blears: Islamophobe or just a moron? Hazel Blears keeps on getting embroiled in Muslim issues and has constantly been accused of being an Islamophobe. It is possible that rather than that, she is just plain ignornat who is not clued up about whats going on in the world and has no idea how to handle the responsibility of being Secretary of State for communities and local government. The current row started when her department and she accused Dr. Daud Abdullah a senior member of MCB as calling for voilence in the middle east. Dr. Abdullah replied very well to her in a letter in Guardian which I encourage everyone to read here. Even after clarification, Hazel Blears have been accusing him of inciting terrorism and after failing to make her understand, he is now persuing a legal way by suing her. She has to apologise by the 15th of April and stop 'bullying' Dr. Abdullah otherwise she would be sued. Honestly, I dont mind she being taken to court. Maybe that would make her think before opening her mouth. You can read more about Hazel Blears on Islamophobia Watch here.